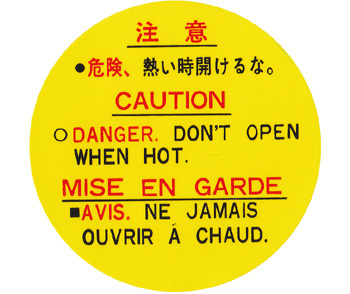 Nissan Radiator Cap Caution Label - Specialized shop for Datsun 1200. This caution sticker use alot Nissan vehicle. Replacing to radiator cap top. Place is a "F" part.